Because of my obscene obsession with beauty products, I am constantly reading other reviews and discovering new products. Due to this, I rarely make impulse purchases and there are often other products I would like to try out with the hope that they will be even better. With that being said, it is a big deal for me to repurchase an item because that means that I was so pleased with the product, I am confident that I will be displeased with any other alternative. It is for that reason I have decided to start a new blog series, documenting the rare beloved products that I have happily repurchased on numerous accounts. The first product I am featuring is the Maybelline Dream Lumi Touch. In the age of people contouring their faces Kardashian style, there has been an outbreak in the beauty industry of products aimed to give you that chiseled look. This has been my go-to under-eye concealer for about a year now. It covers up any darkness under my eyes with minimal creasing and if I am feeling bold, I will also use it to highlight the rest of my face. I originally tried this because I thought it would be the drugstore version of the coveted YSL Touche Éclat. In fact, Maybelline and YSL cosmetics are both owned by L'Oréal, so it would make sense that the products would be similar. Whether you are thinking about trying the highlighting/contouring look or you are just looking for a great under-eye concealer, I definitely recommend this product. Next up on my list is the CHANEL Vitalumière Aqua foundation. When it comes to my complexion, I can completely justify buying high end foundations because of the stark quality difference. There is nothing like a CHANEL foundation and I have never been disappointed with any. The Vitalumière Aqua is my absolute favorite everyday foundation. The coverage is light, but build-able, and it just gives my skin and even and natural looking texture. Because I like to wear certain foundations for different occasions, this foundation is expensive but lasts a pretty long time for me. Just a little tip, you can also get a tester of any foundation from the counter for free. If you get a decent sales associate, the testers are usually a pretty generous size so you can really wear the foundation before actually purchasing. Last but not least is the Maybelline The Colossal Volum' Express Cat Eyes Mascara. A long name, but I would definitely like to place an emphasis on the Cat Eye formula; the wand is much smaller than the original and features a curved shape which I find makes application easier. 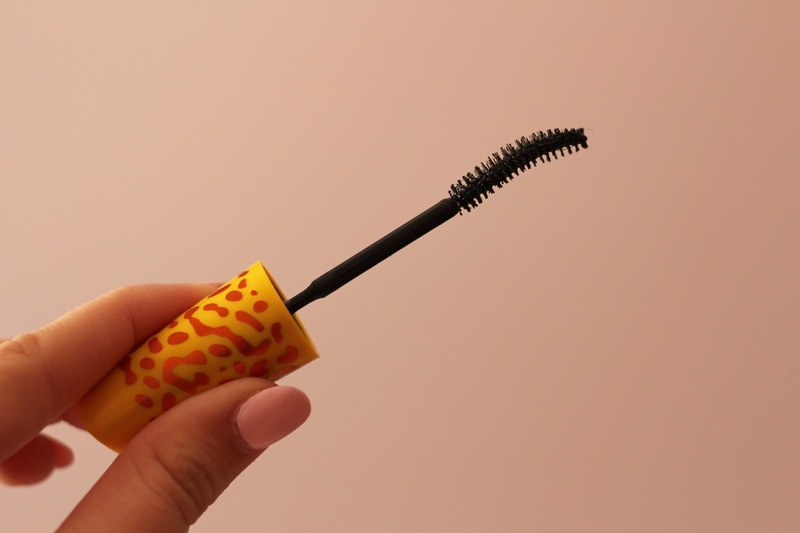 Opinions on mascaras are so subjective, but the reason I like this one so much is because it holds curl extremely well, both the waterproof and non-waterproof formulas. My lashes are lacking in length and volume, but no matter how much mascara I put on it doesn't make a difference if my eyelashes aren't curled. Waterproof mascara formulas always hold curl extremely well, but they are hard to fully remove and not ideal for everyday. The reason why I continue to go back to this mascara is because it holds the curl in my lashes without me having to wear the waterproof formula. Hope you enjoyed. This one was especially for my readers who like the beauty posts!